Offering sophisticated business litigation representation to local companies in a vast array of industries, we aid clients in Annville and throughout central Pennsylvania at The Law Office of Tucker R. Hull, LLC. Working to bring resolutions to bear on behalf of those we represent for a range of legal issues, our attorney provides customized guidance and dedicated advocacy. There are numerous complexities involved in the day-to-day operation of businesses both small and large. Serving as a trusted adviser, we stand by our clients through the life of their companies and help them understand how the laws and regulations apply to their specific situations. Our attorney aids those we represent in determining how best to comply with and utilize the legal framework to achieve their objectives. Experienced in guiding clients through all facets of the legal system, our law office advises companies regarding anti-discrimination and employment statutes, offers regulatory compliance guidance, and prepares and reviews corporate and employment policies. We also assist clients with matters, including drafting employment contracts, reviewing corporate agreements and negotiating contracts with vendors. There is more to starting up a business than coming up with an idea and a plan and getting the word out. 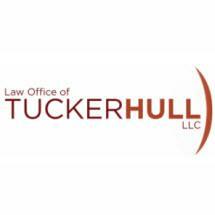 Our attorney at The Law Office of Tucker R. Hull, LLC, helps clients choose the right business structure for their situations and goals. Walking those we represent through the entity formation process, we ensure they follow all the steps and meet the applicable requirements to help avoid potentially costly disputes or other such issues down the road.